We’ve got all the details and an exclusive interview with the Beatport CTO on the launch of a brand new service they call Mixes. Mixes allows DJs to upload and sell their mixes legitimately and legally, with Beatport handling all of the payment to labels and performance rights organizations. What’s in it for you, the DJ? Find out after the jump. Beatport continues to expand into the DJ space, with Mixes being the latest of a recent wave of DJ related services (DJs, Play, and Sounds were all introduced in the last year). Mixes promises to clear the way for legitimate mixtapes to be sold online from any DJ, assuming that they’ve purchased those tracks through Beatport. While for now, Soundcloud and Mixcloud allow users to upload mixes without worry, Beatport is betting on a future in which labels and performance rights organizations (PROs – you might better know them as ASCAP, BMI, and other similar organizations) will start actively pursuing users on these sites and doling out takedown notices. That’s where Mixes comes in, allowing DJs to upload mixes with tracks they’ve purchased and put them on sale for a relatively low cost. It’s the first service that actively pays out labels, PROs, and DJs for the purchase of a mixtape (Mixcloud is partnered with SoundExchange, a PRO- but doesn’t pay money directly to labels). There are three key requirements when uploading a mix. First, you have to already have an account with Beatport DJs. Secondly, the tracks in the mix that you upload have to have been purchased with a Beatport account – this is used for tracklist and paying out labels/PROs. Finally, the mix has to be no larger than 500MB, in 320 MP3 format only. The tracklist process feels fairly similar to Mixcloud’s required tracklist, in that it allows DJs to set their tracklist with specific start times for each song. Unfortunately there’s no auto-detection of tracks here, so you’re still going to have to figure out when you mixed what track yourself. Beatport does automatically pull your purchase history – because again, their model works around the idea that you’re uploading mixes with only Beatport-purchased tracks in it. You can upload mixes with tracks that were not purchased off of Beatport and sell those mixes but non-Beatport tracks will not get a cut of the revenue. Beatport told us they will not actively work to take this content down, but they will comply with any takedown requests received from performance rights organizations or labels. The terms and conditions also make allowances for uploading mixes with your own content. You might be asking yourself what the advantage of charging for a mix when you can upload for free on Soundcloud with minimal chances of getting taken down. Part of the equation is the legal dilemma of the future that mentioned earlier: that Performance Rights Organizations like ASCAP and BMI will, in Beatport’s eyes, not continue to allow podcasts and mixes to be distributed for free. But why put it up on Beatport? First off, money goes directly to labels – something that Mixcloud doesn’t do, since there’s no established relationship with labels like Beatport has. Secondly, building your identity through Beatport has a larger potential of success in their eyes – with millions of eyes seeing Beatport pages on a regular basis, if you promote and land a mix that gets featured in the top 10, it’s a quick way to potentially get noticed. 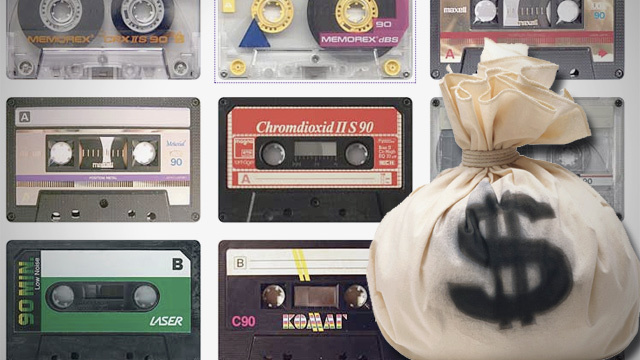 While Mixes breaks into previously uncharted territory for mixtape distribution, there is one element that we’re a bit hesitant about. Most DJs have large collections of music from a number of different sources. Even if you’ve legitimately purchased a CD, record, or even just a track off of iTunes in the past, it’s technically against the rules to upload it to Mixes. Smaller artists who don’t distribute their music on Beatport might still be perfect for inclusion in an incredible mix, but they’ll receive no recognition in the tracklisting or in the final payout of the royalties. Beatport is absolutely one of the few major players in distribution of music for DJs, but other legitimate sources exist – and we’re not ecstatic about the idea of re-paying for a track that we already own just to include it in our mix. Additionally, we couldn’t help but notice the above little message that appeared when we went to upload a new mix – apparently Beatport’s massive library of tracks is not 100% eligible to be included in the service – something that we think absolutely should be pushed for in order to see this service a success. For more information, visit Beatport Mixes. It’s still in invite-only Beta for uploading new mixes, but you can check it out and purchase other DJs’ mixes starting today. 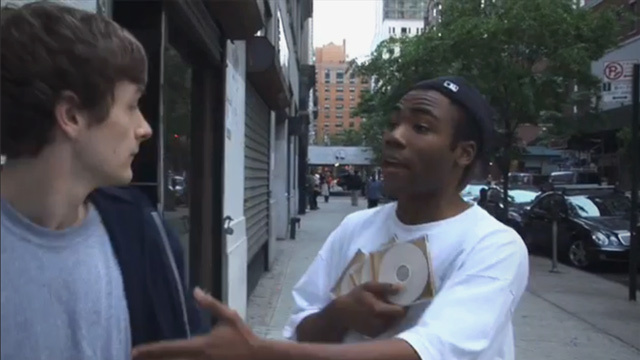 What do you think – is the pay-to-play model the way of the future for mixtapes? 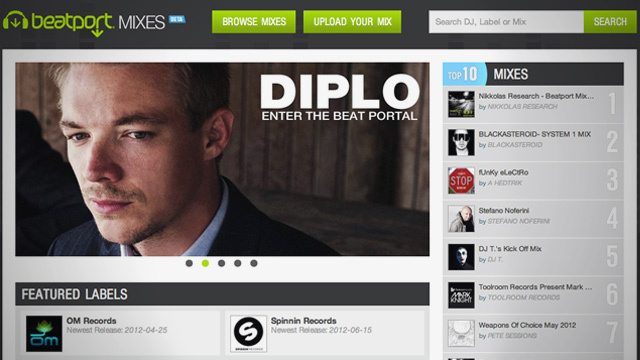 Will you upload your future mixes onto Beatport’s new service?